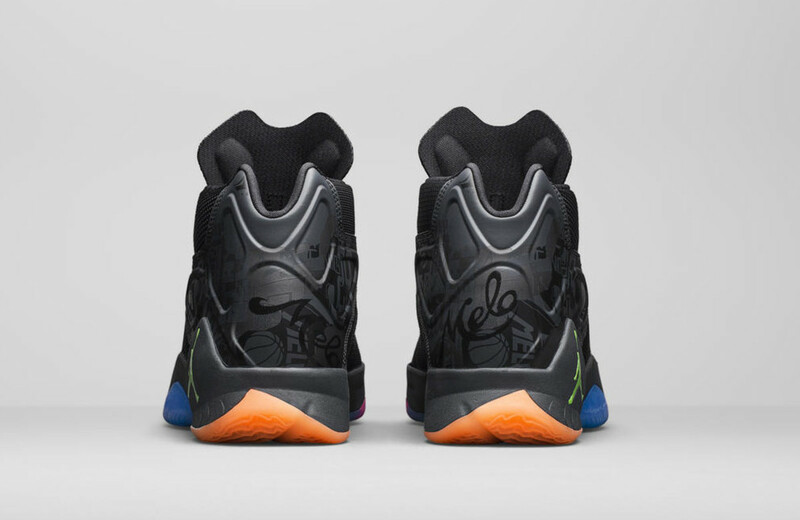 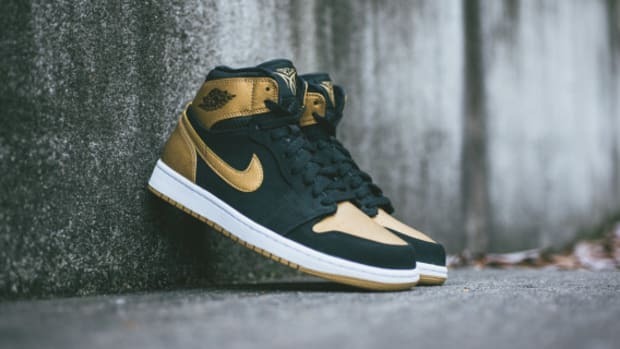 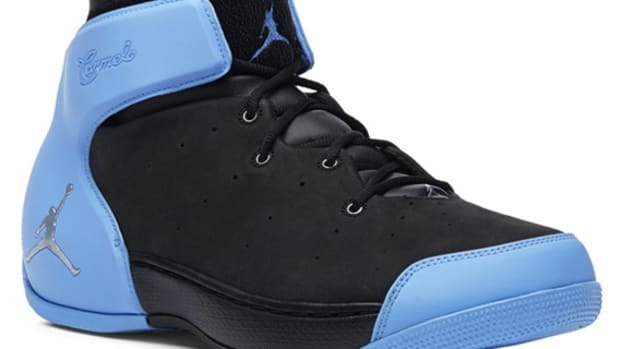 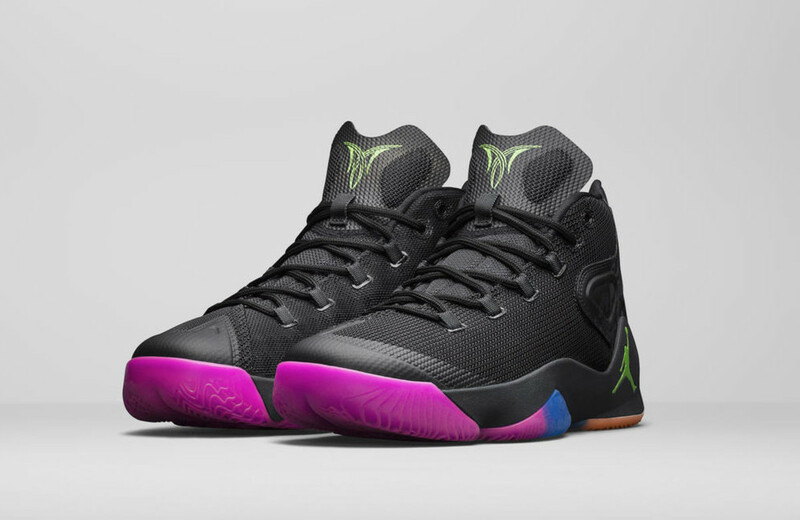 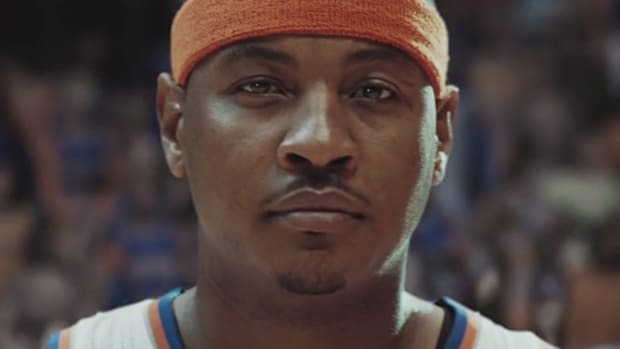 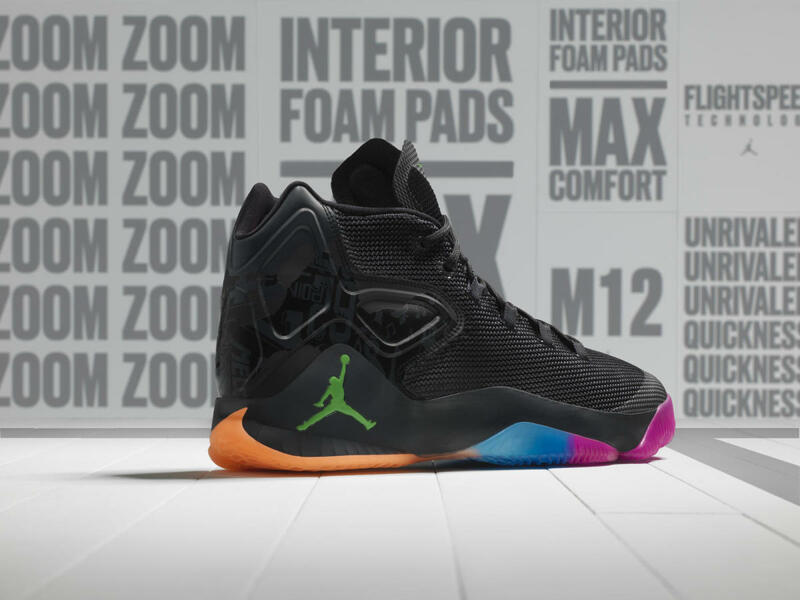 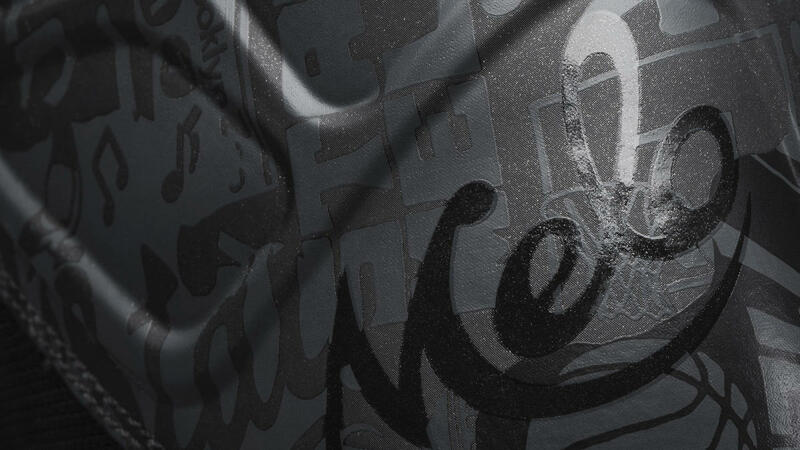 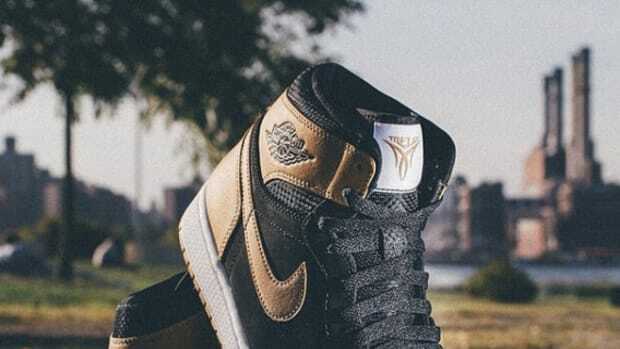 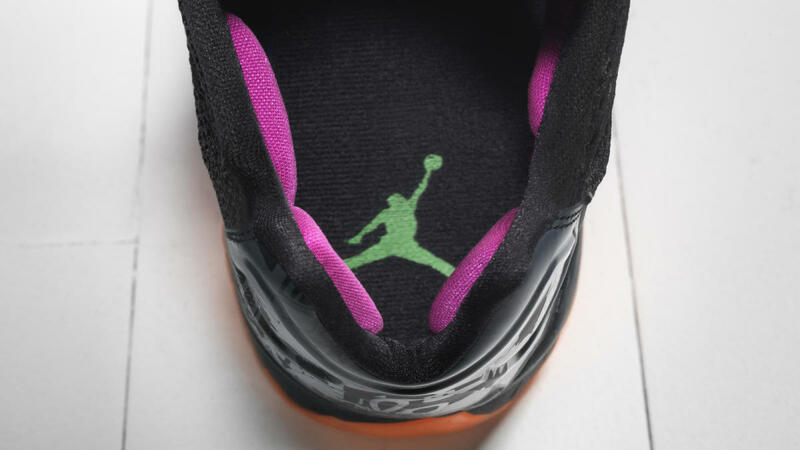 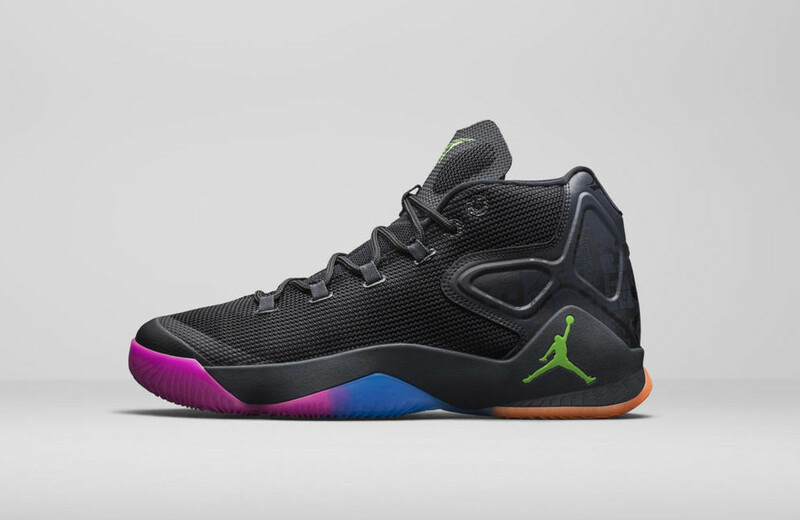 Jordan Brand has taken the wraps off Carmelo Anthony&apos;s 12th signature shoe, the Jordan Melo M12, featuring a design that pays tribute to the "the dungeon," a Baltimore rec center where a young Melo cut his teeth. 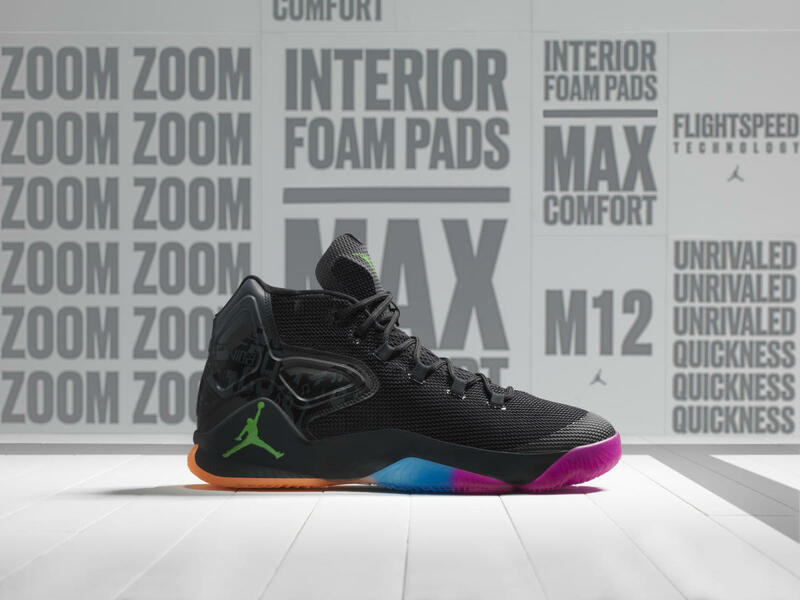 The lightweight and flexible M12 is loaded with performance benefits, wrapped in a minimalist silhouette utilizing a mesh upper and asymmetrical webbing loops, along with a pared-down heel and ankle design for a targeted one-to-one fit. 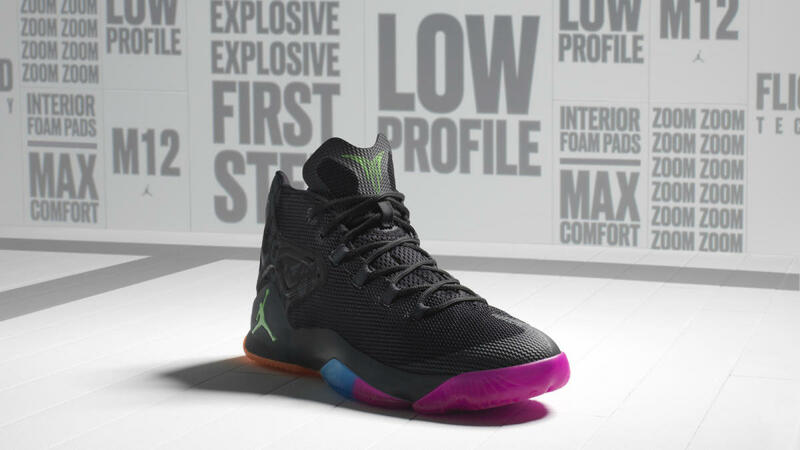 Four foam pads in the interior bolster the pinpoint support, and two Zoom Air units offer responsive cushioning and a low-profile feel. 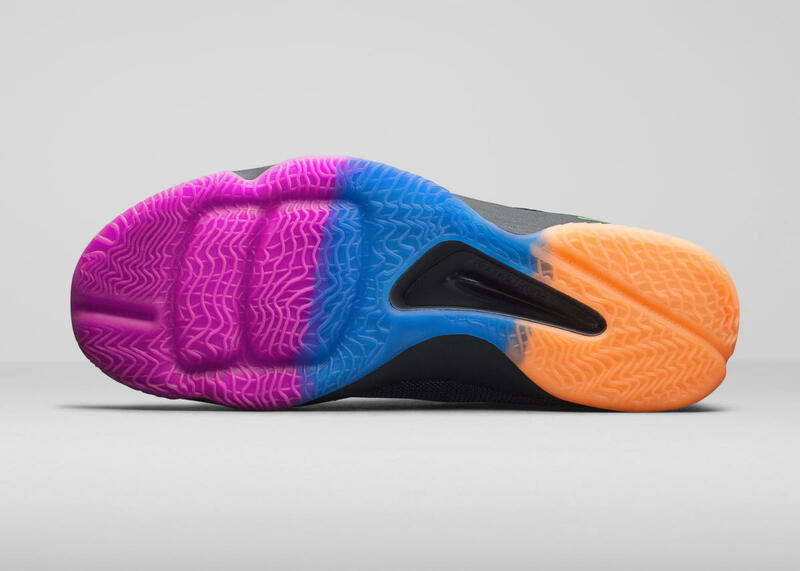 Finally, articulated flex grooves allow the midsole to move with the foot, while FlightSpeed technology enables an explosive first step. 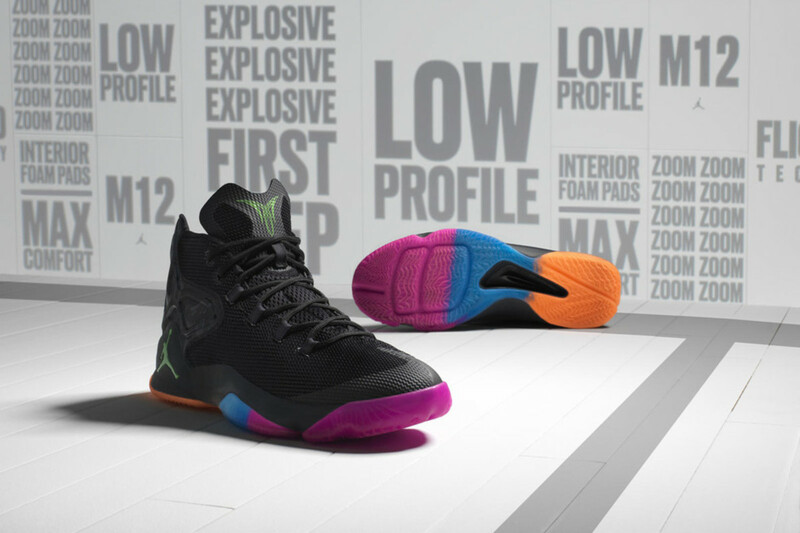 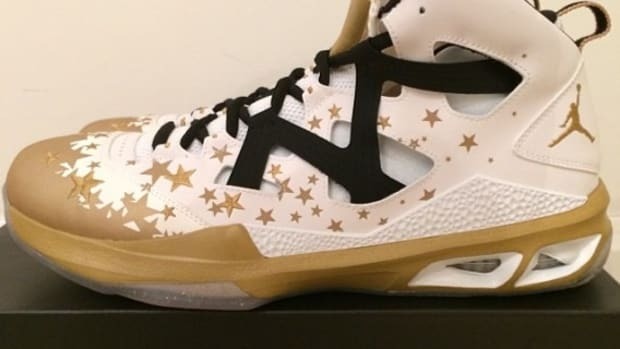 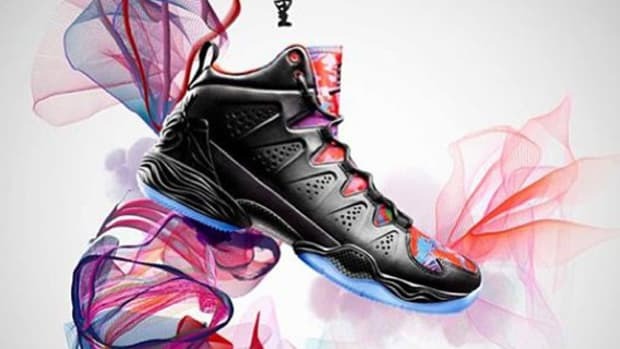 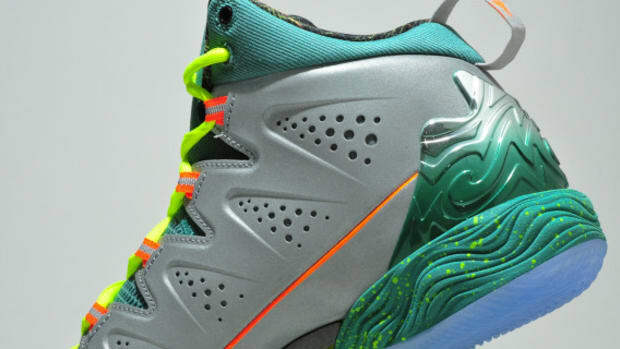 Expect the Jordan Melo M12 to launch January 2 with a $160. 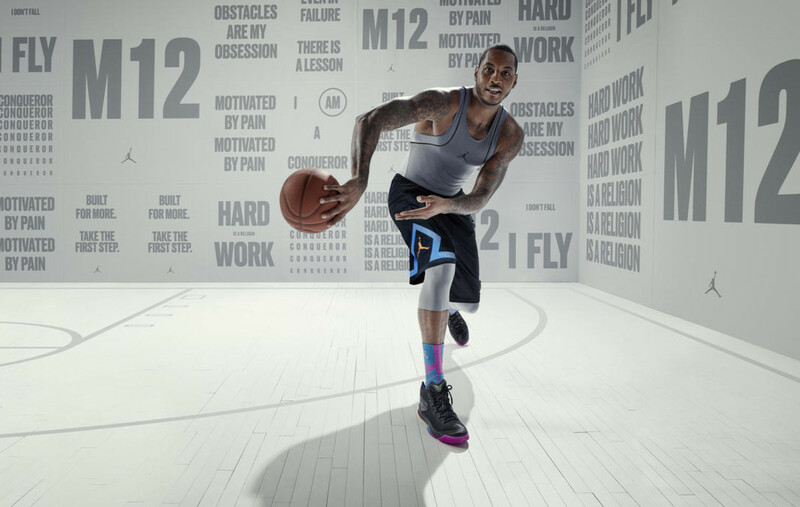 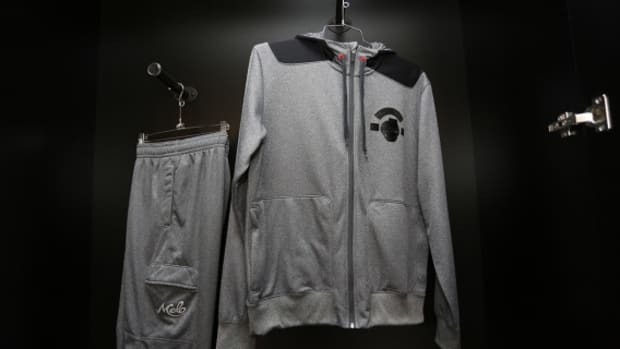 Check out the Jordan Melo M11 "Hare"
Also check out the Air Jordan 6 Retro "Maroon"